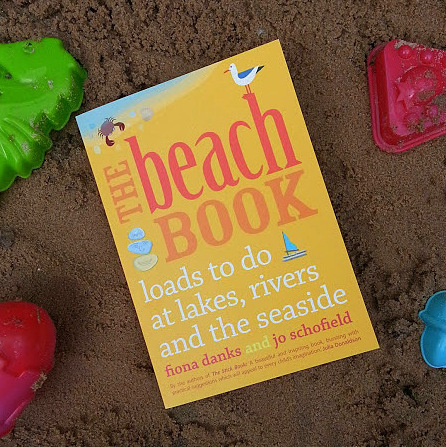 The Beach Book is one of the latest books to be released by Frances Lincoln Publishers, and will be available to buy from June 4th. 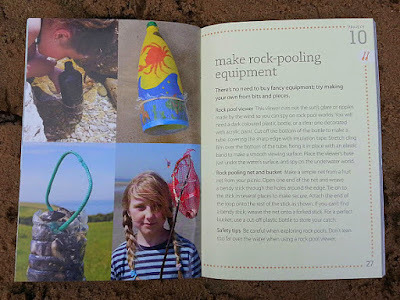 Written by Fiona Danks and Jo Schofield, it is full of ways for your children to spend their time safely around water. Whether your water is a river, a lake or an ocean, there are loads of fabulous ideas in this book. Fiona and Jo have previously had great success with The Stick Book, The Wild City Book and The Wild Weather Book, and I think The Beach Book will be just as popular. I am incredibly impressed with the simplicity of the ideas in The Beach Book. No equipment is necessary for the vast majority of the activities, you aren't expected to lug a huge bag of essentials with you. This is genuinely free fun that anyone can join in with. The activities are graded 1-3 for difficulty, with level 1 being possible for just about anyone. The more I look, the more I see simple games and ideas that I really want to try this Summer. 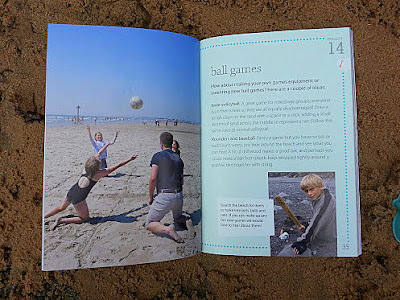 My children are really excited by The Beach Book and even at only 6, I know it could entertain my son all week without me having to do a thing or even explain anything to him. The accompanying photo's are really clear and perfectly depict the activities described. The children and adults shown are clearly always having fun or genuinely attempting to complete challenging activities, this gives it a lovely realism, and there's a real immersion into this book which makes you almost smell the sea and imagine you have sand in your socks. With far more projects, challenges and games than I'd like to try and count, and spread over 130 full colour pages, The Beach Book is a great book which gets 5/5 from us. 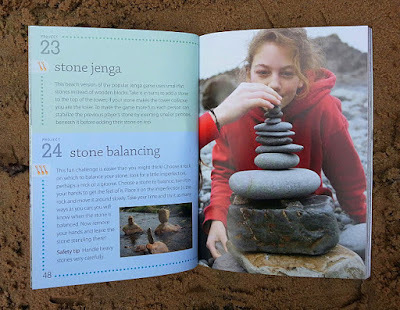 It really has made me excited for my seaside holiday later in the year - I totally want to play Stone Jenga on the beach!!!! The Beach Book officially releases on 4th June and is published by Frances Lincoln. I was sent my copy for review.